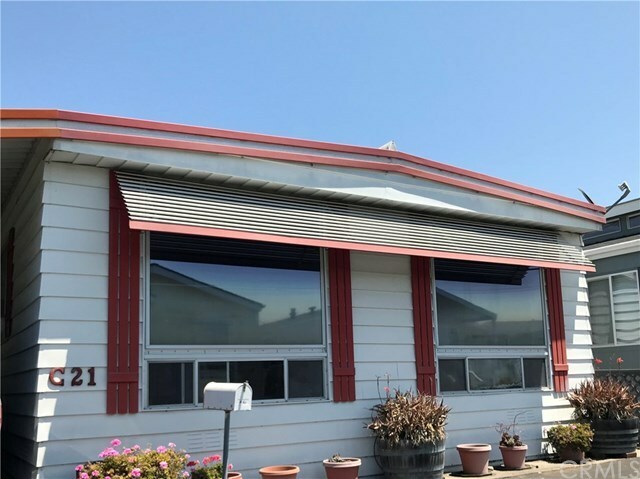 This well maintained double wide mobile home is in good condition that has been a one owner home. It is ready for a new owner. It has a very large living room with large front windows. The dining room is also spacious and is adjacent to the kitchen. The home is well located toward the back end of the mobile home park. It has two good sized bedrooms. It has a covered back porch area and an enclosed porch room that is currently used for storage. There is a storage shed on the rear side of the lot. The home has a wooden wheel chair ramp at the front entrance. Directions: Take S. Higuera Street to the entrance of Silver City next to the Manager's office. Turn into the entrance and go west on that street. Turn a quick left then a right. Go to the west end of the mobile home park.